Some people will say that there are few more precious things in life than the love of an animal. Others will say that diamonds are the most precious to behold. Combine them together and you have a passionate group of people determined to help rescue dogs and raise money for their care. The Rescue Paw Foundation was founded in 2011 by Tim Claire, founder and president of the nonprofit organization based in Glen Cove. The public corporation only consists of four directors and a part time bookkeeper, but according to Claire, it’s the behind the scenes work and building infrastructures that sets the foundation apart from others. 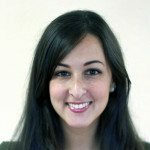 Claire and the rest of the foundation is strongly committed to giving back 100 percent of the dollars raised for the cause. He says that everyone on the board is a volunteer, with the big picture being to build up rescue facilities for the animals. Rescue Paw Foundation is investing long term to treat animals until they can be certified ready to go to a loving home. A major benefactor in that quest has been Candy Udell, the president of London Jewelers. It was Claire’s hope that this new partnership would have a bigger impact both locally and on a more national scale. 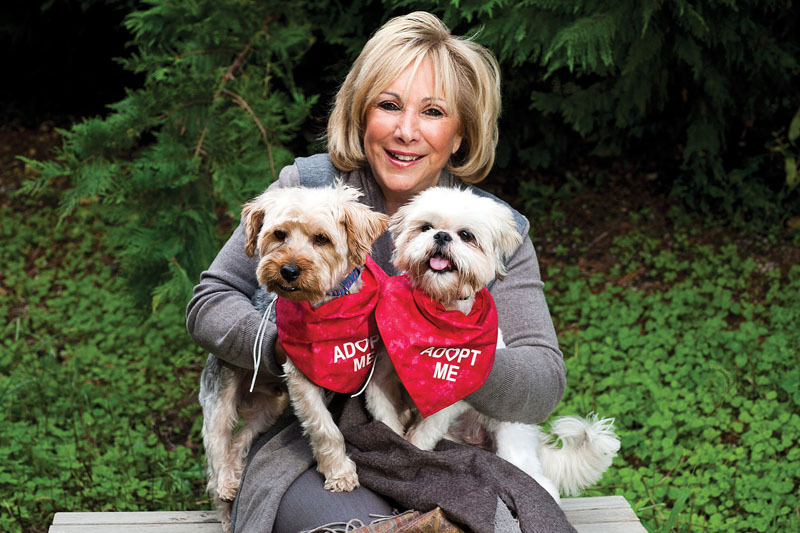 Udell has served as president of the Manhasset location for the last 40 years, and her love of animals goes deeper than just contributing financially. 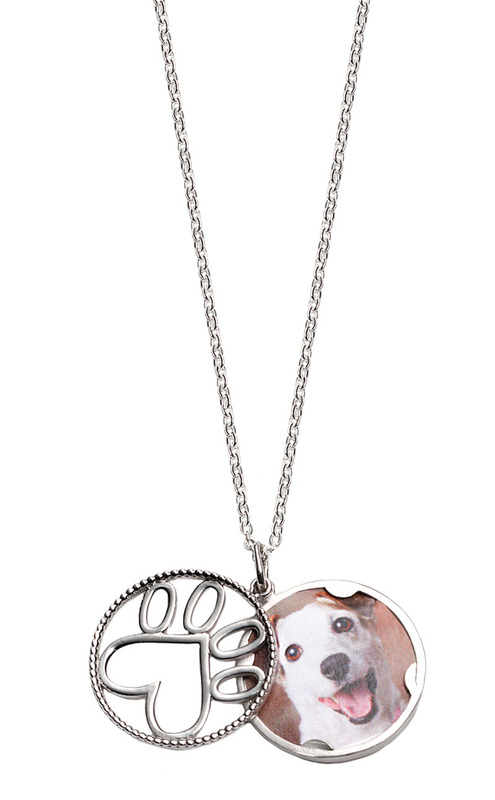 She has literally put her own paw print on the cause by creating a sweet and meaningful line of affordable jewelry that anyone with a pet past or present should add to their collection. To date, Udell has been able to rescue more than 2,500 dogs and cats and counting. The dogs come from all over the world and Udell’s store has played host to many local adoption events. And although she believes in local adoptions and working with local shelters first, she also works with other places as well. 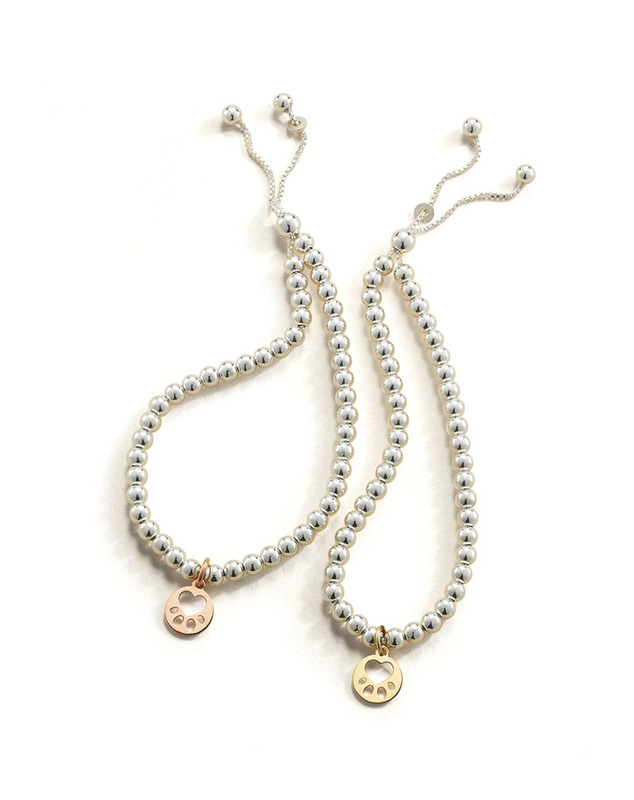 As for the design, the signature paw motif is iconic and is a constant symbol throughout the jewelry line, which includes necklaces, bracelets and earrings. Udell chose the paw print specifically with a heart in it, adding that the store can tailor pieces for shelters should they want a custom piece. “We are happy to do that for customers and we run a program where shelters and rescues can contact us directly through the London Jewelers website. We can set up a promo code and their followers can go online to purchase the pieces,” says Udell, noting that new designs get added twice a year to keep things fresh. 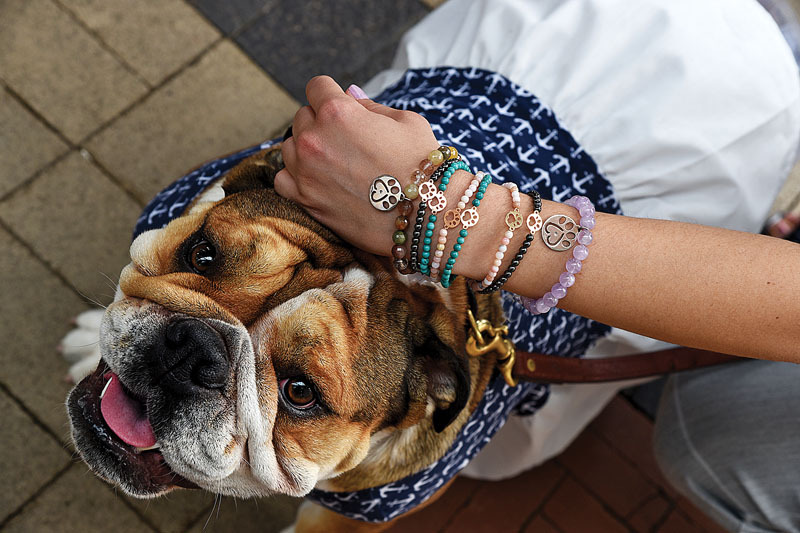 In addition to the jewelry line for Rescue Paw Foundation, London Jewelers has also designed pieces for other charities and organizations including pancreatic cancer, the JCC, the Katz Women’s Foundation, Tourette’s syndrome and a yellow rose collection for Alzheimer’s. With a perfect match partnership for the past six years, both Udell and Claire have enjoyed the benefits of their companies working together. London Jewelers runs several adoption events at the store including Champions for Charity, which invites a handful of rescues to bring dogs. Udell says that she tries to host events in the fall and spring at Wheatley Plaza and Americana Manhasset. She is hopeful that another event will happen early this summer. For more information, visit www.ourcauseforpaws.org. 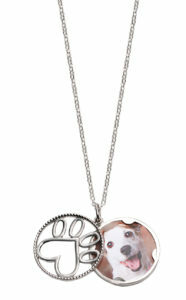 For more information on London Jewelers, call 877-601-9924 or visit www.londonjewelers.com for your own paw print piece.